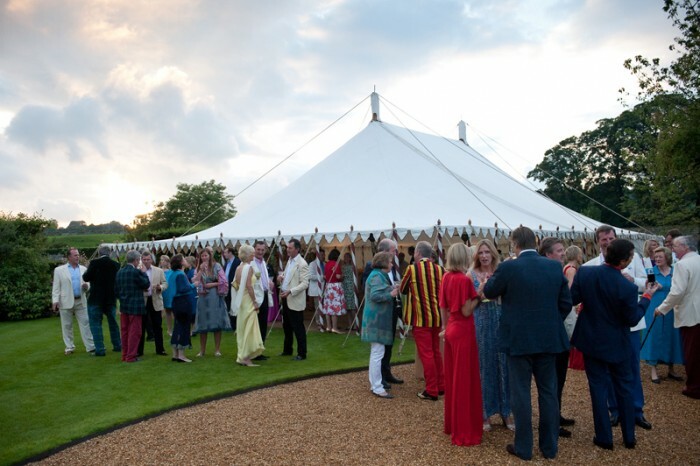 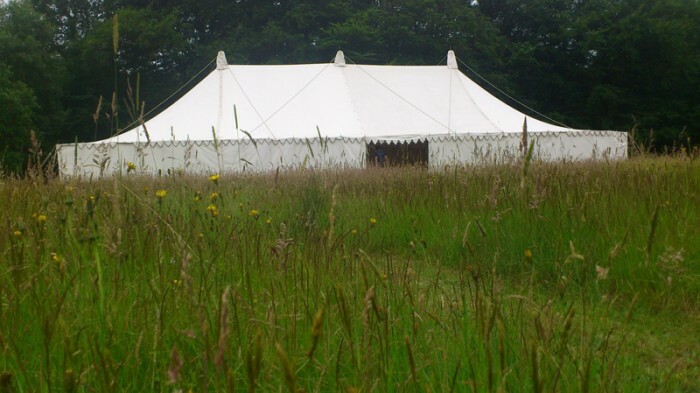 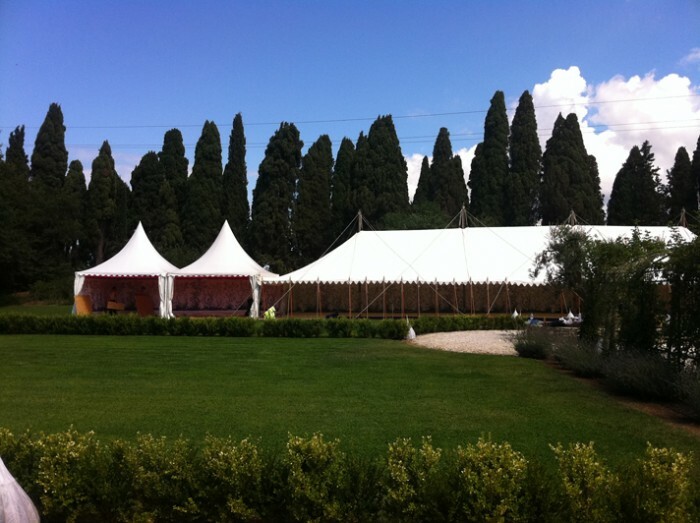 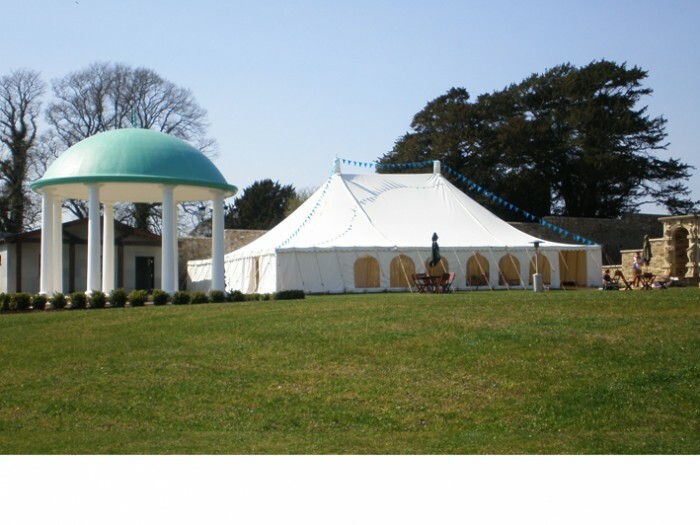 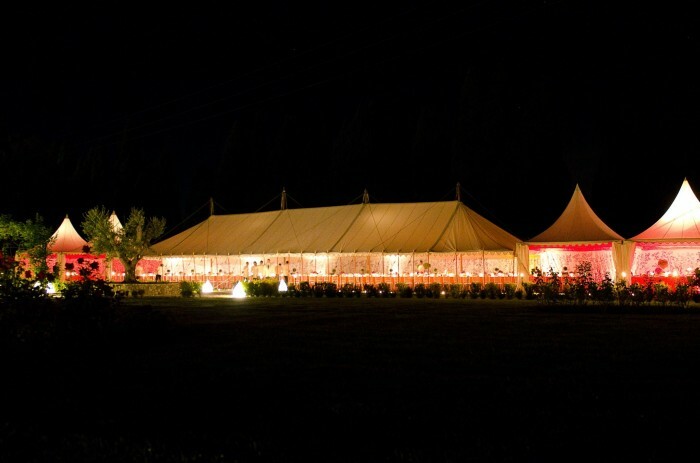 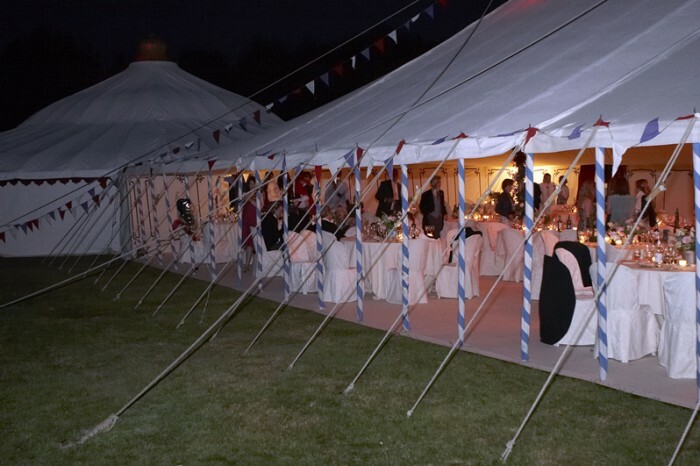 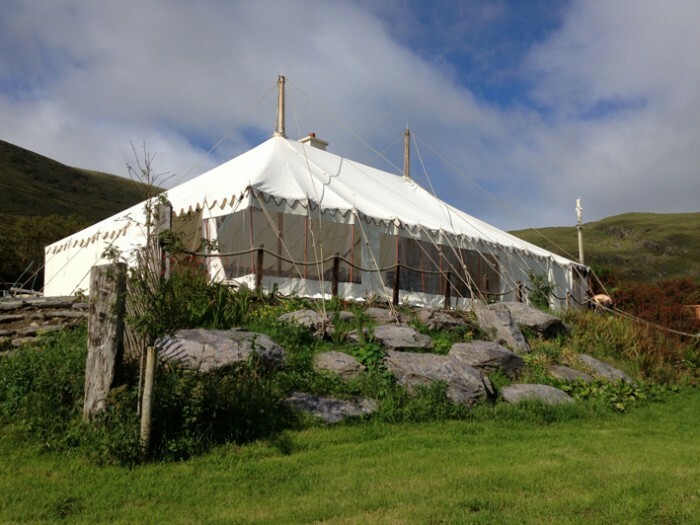 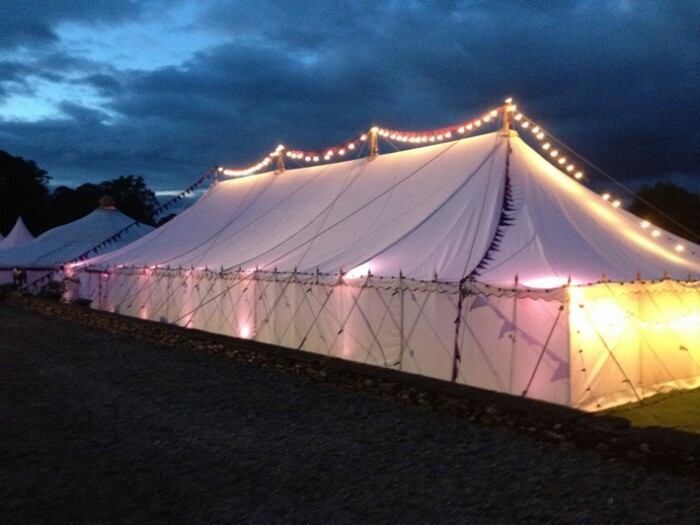 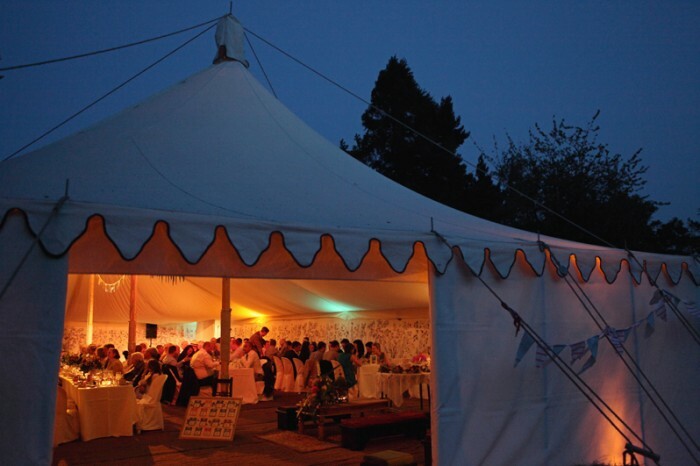 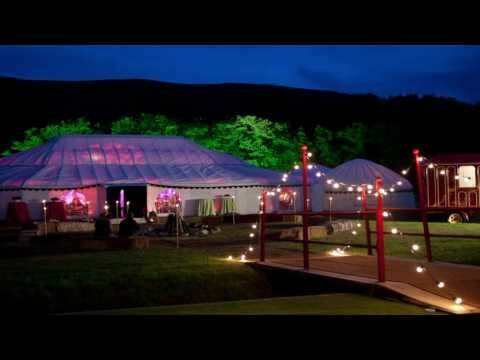 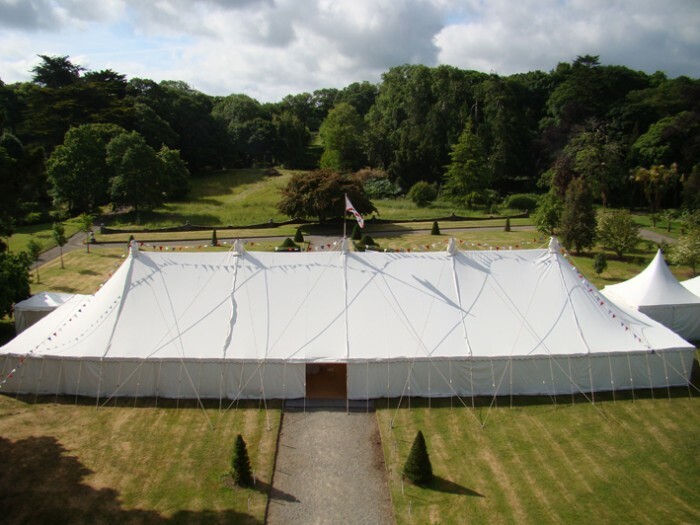 For larger events and weddings, we offer Traditional Canvas Pole Tents with a wide selection of linings. 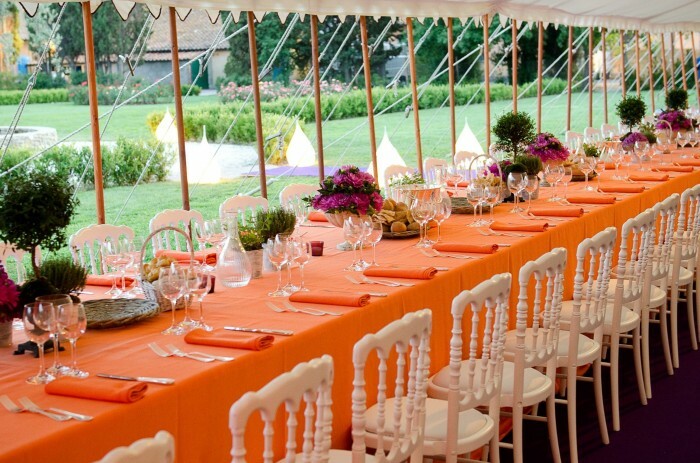 They come in various sizes and can seat between 50 and over 1000 guests. 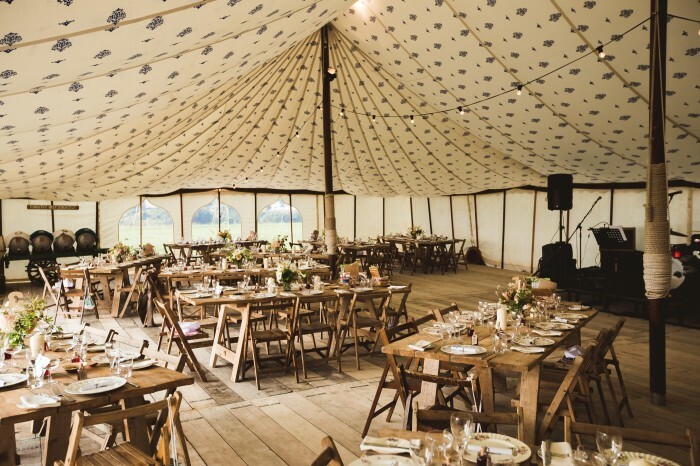 These lovely, vintage-style tents feature wooden poles, canvas roof and walls and hemp guy ropes. 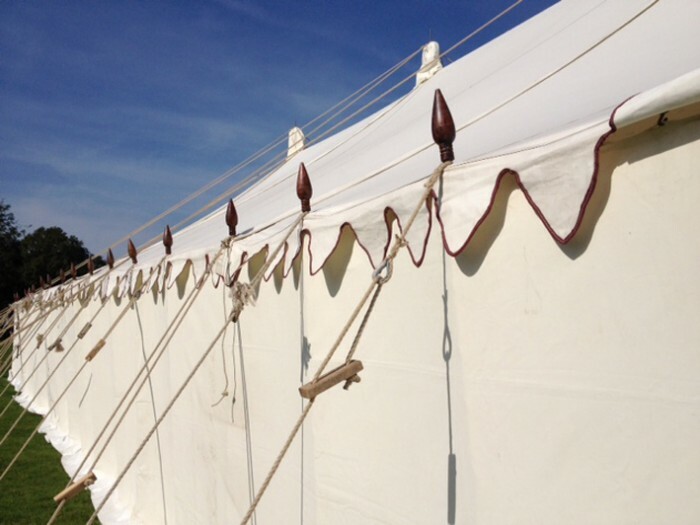 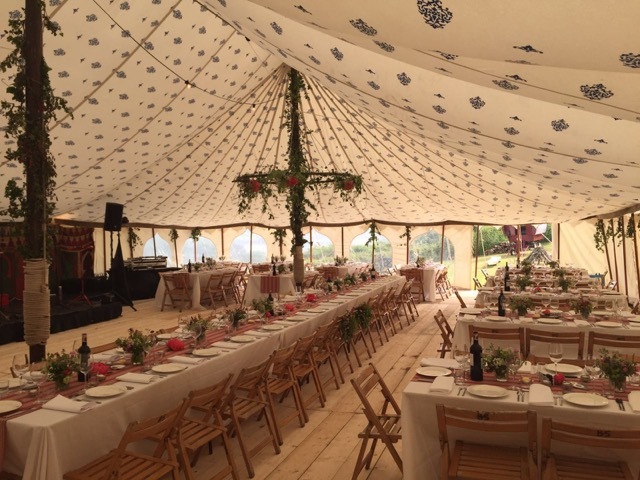 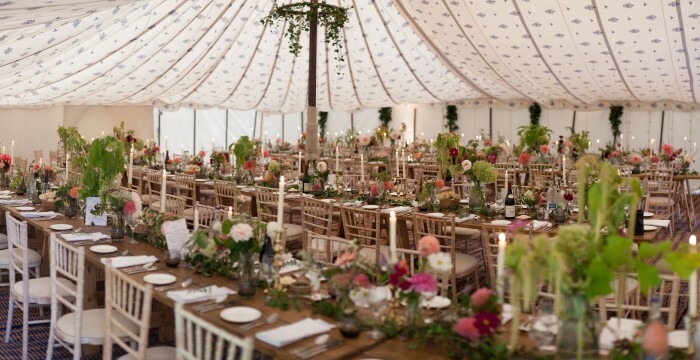 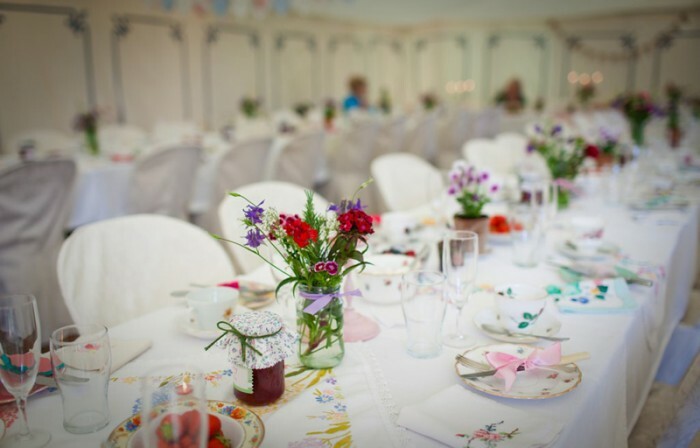 We place a lot of importance on the finer aesthetic touches and all our Traditional tents come with decorative wooden finials and burgundy piping along a scalloped valance as standard, with the option to have coloured bunting and coloured pole socks at no extra cost. 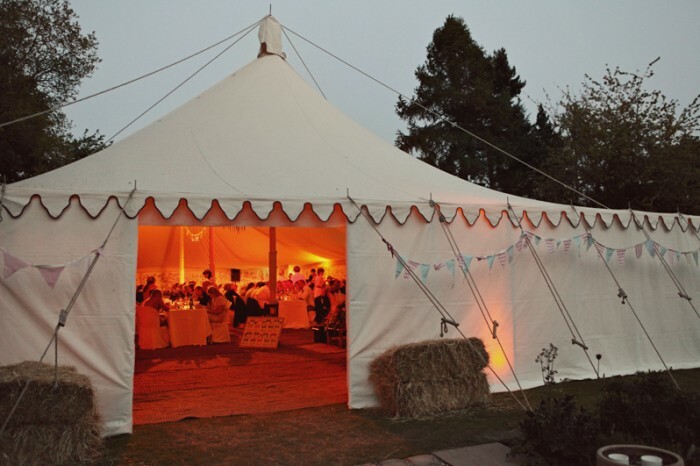 We love our Traditional tents and ensure that the natural cream waxed cotton canvas is always fresh and clean. 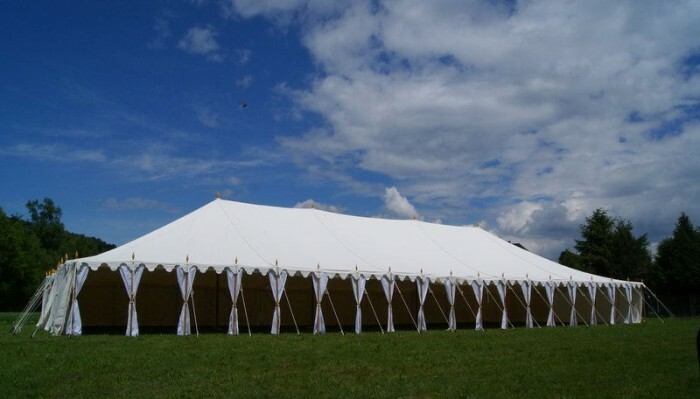 There are options for different styles of window walls; walls are very easy to remove to open the tent up and entrances can be created at any point. 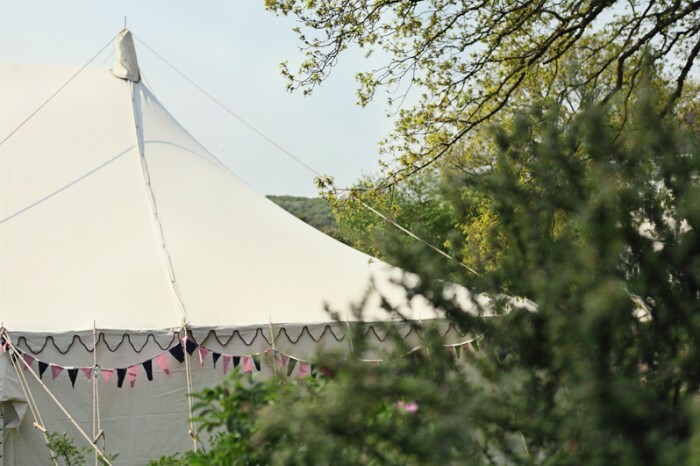 They are fabulous for country weddings, woodland weddings and boho-chic weddings. 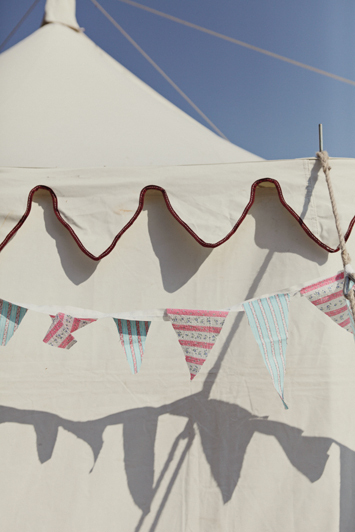 We are proud of our extensive range of hand made cotton linings that we invite you to discuss with us regarding your preferred style or colour scheming. 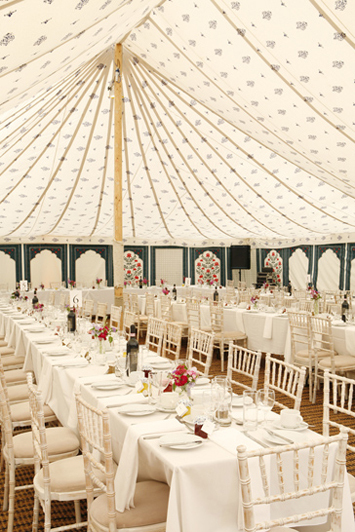 Flooring that works best in the Traditional tents is the rustic Coir matting; a coconut hessian material. 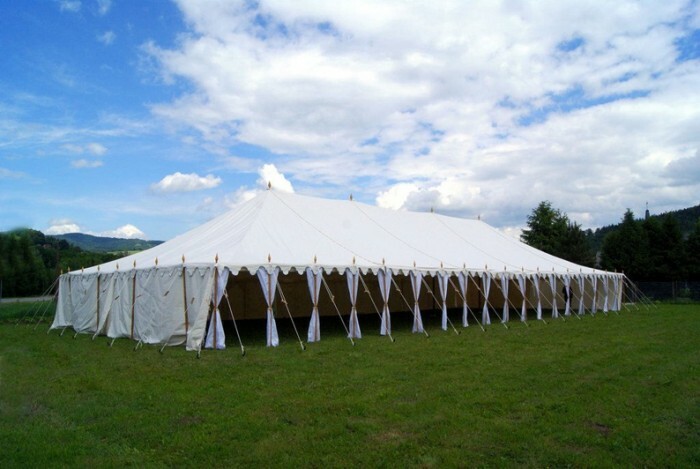 Alternatively a brand new carpet in any choice of colour can sharpen it right up and of course solid wooden flooring is available if needed. 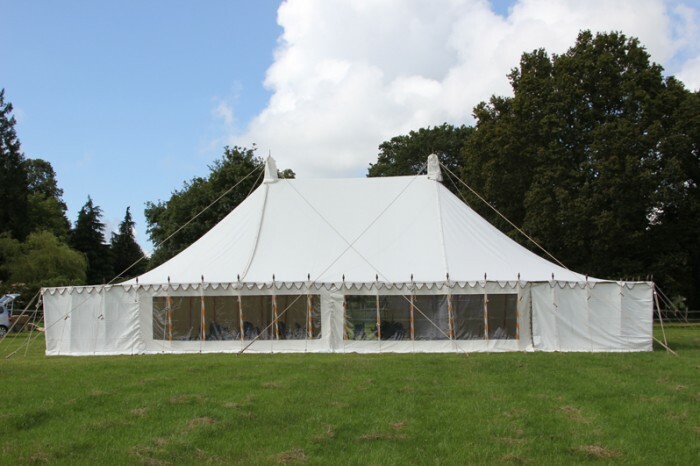 Do talk to us about having your tent decked out with floor-boards rather than carpet or coir matting.